Lily is officially 4 years old and so as usual for the blog around this time of year I am doing a week of reviews and giveaways. Today I am going to be telling you all about some amazing new Pjs from Pyjama Factory which we have been sent to review. As Lily is a year older, a lot of her Pyjamas are getting a little small and so she was definetly in the need of some new pyjamas. So Pyjama factories offer to get to review some Pjs couldn't of come at a better time. They let me take a look on their amazing website which had a great choice of Pyjamas and said I could choose 2 pairs. I must admit, the selection was so great and so varied that I really found if difficult to choose. There are all sort of designs from TV characters, Princess's, super heroes and just general cute and fun designs. There was also a wide range of selection of different types of Pyjamas with some being long sleeved and some short, Pyjamas with shorts and also Onesies. In the end I decided to choose long sleeved Pyjamas and chose 2 designs that I thought Lily would like. My first choice was these yellow smiley face pyjamas. The main reason I chose these was because Lily looks so good in yellow. I also loved how happy they looked and they also looked like they would be very snug. I wanted to find some Pjs that wern't to thick but also warm enough for winter. Lily looked lovely in these Pjs just as I thought she would. I asked for size 3-4 because although Lily has just turned 4, Pyjamas usually come up quite big on her. They were the perfect fit and also had plenty of room to last her a good while in them. One of the things I like about them is also they are quite baggy around the legs, they have a cuff at the bottom which means that no nasty draughts can make her cold. Also the arms fit quite snug which again will be keeping out the cold. The material was really nice and soft and I think a nice thickness to be warm enough for winter and also cool enough for the autumn months. I was very happy with the quality of them. But the best bit about these Pyjamas was how much Lily loved them as you can see from these pictures of her happily posing in them. The second pair that I chose was some Finding Nemo designed ones. Lily loves finding Nemo and she often cuddles her dory teddy at night so I thought she would like these ones. They also appealed to me because they looked nice and warm for her with the cuff bottoms. She was super pleased when she saw them and loved that her favourite characters were on them. Again I think the fit is great, plenty of room in them but also nice and snug. The picture on it was full of colour and Lily looked great in them. Just like the other pair of pyjamas they are really good quality and I was also really happy with them. One of the best thing about both sets of Pyjamas is that they aren't to high in price. The finding Nemo ones are £9.99 and the smiley face ones are £8.99. There is such a great selection over on the website and they make the perfect Birthday or Christmas gift. I always get Lily a new pair of Pjs for Christmas and so I shall definetly be heading back to the website to see what I can get for her. Head to the Pyjama Factory to check out all the designs and buy your little ones a pair! 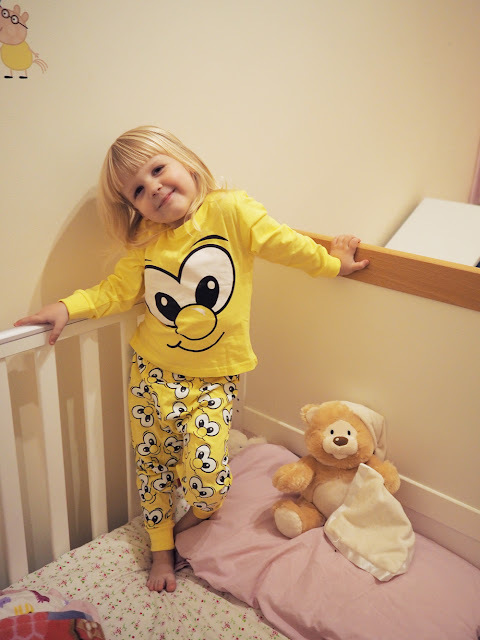 Who would like to win their little ones a pair of Pjs? Enter below on the Gleam app for your chance to win a choice from the website. Make sure you head to the competition page as this week there will be loads of competitions and reviews going on for you. I love the Princess Sofia Long Pyjamas - so cute! PS Can't believe Lily is 4 - I remember how tiny she was when you started up your blog! I'm a long time follower! Happy 4th birthday Lily! I think my granddaughter would like the Ben & Holly PJs. 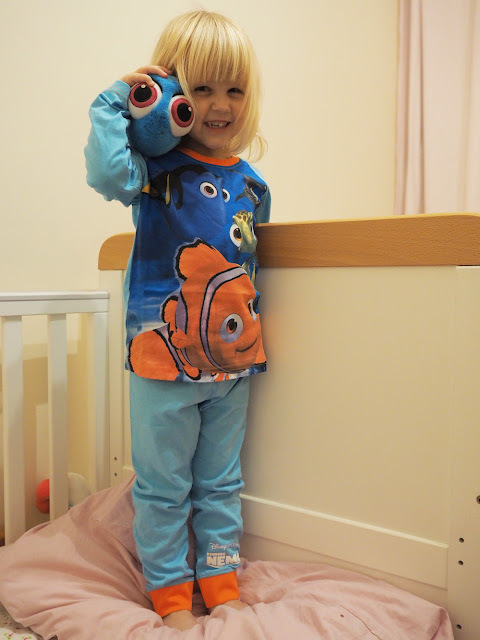 I love the Inside Out Long Pyjamas for my daughter. I love the Finding Nemo pyjamas. My 2 year old grandson would look very cute in the Blue Funny Face Long Pyjamas! Aww she looks cute! Having young neices and nephews, these pj's look a great gift for them. My daughter is obsessed with Sofia the first, it would have to be them. My boys would love the eat, sleep, game, repeat long pjs. The Boys "Owned" Game Time Long Pyjamas would be fantastic! Thomas the Tank Engine Red Long Pyjamas. I love the T-Rex pyjamas! My son would love the Floss like a boss PJs. Absolutely love the pink or yellow funny face ones. the t-rex pjs caught my eye straight away, they look just up my little girl's alley - she loves dinosaurs!! The Harry Potter Hogwarts Long Pyjamas would be perfect for my son. The Eat Sleep Football Repeat design is fun for older children. The girls Frozen Long pyjamas would be great for my Granddaughter. The pink Floss ones Would be perfect! Our Tabitha is the Floss expert! I would get the floss like a boss pjs. my son connor would love them. Finding Nemo as my son loves them!! Floss like a boss would be perfect for my grandson who is teach ing me to floss! Panda Barely Awake look great. I love the Harry Potter range. I think my favourites are the Mischief Managed pair. Floss like a boss in green. I think my little boy would like the Hulk pyjamas. 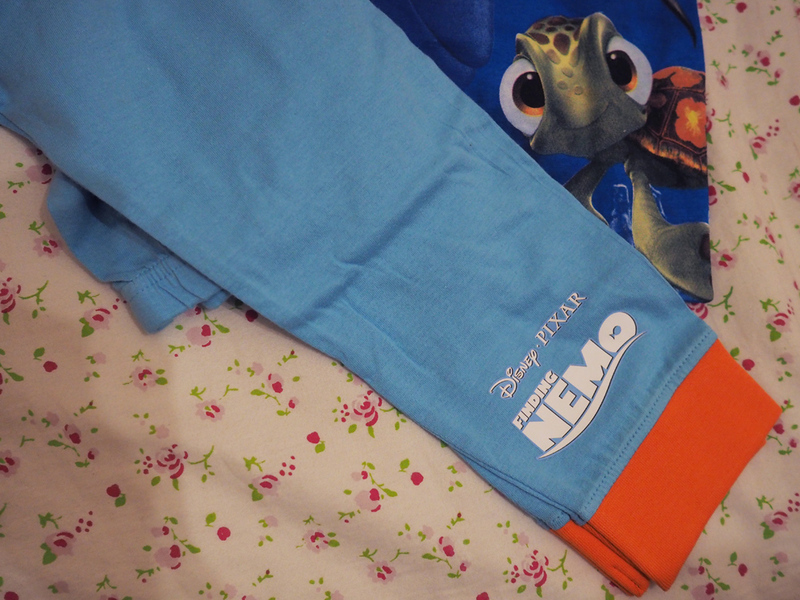 I like the Finding Nemo pyjamas. I love the transformer long sleeve set.